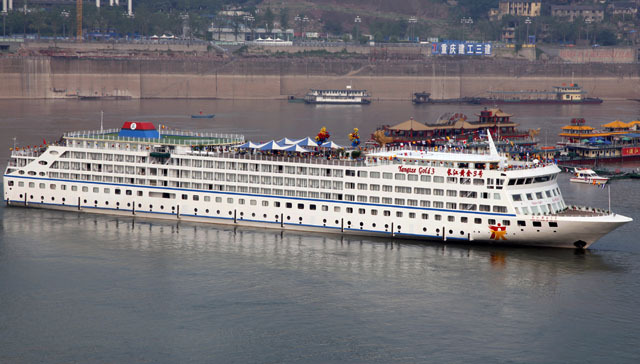 Boasting to build the world's most massive, most luxury and most comfortable cruises on inland river, Chongqing Communications & Tourism Cruises Co. Ltd. successively invested 2 billion RMB from 2010 to 2012 for 10 cruises, under the series name of Yangtze Gold. 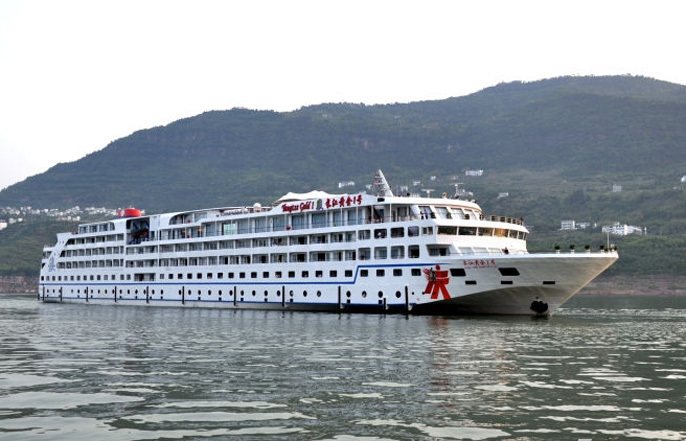 The Yangtze Gold Series Cruise Ships aim to be a new namecard for Chongqing tourism and a gorgeous scenery line on the Yangtze River. 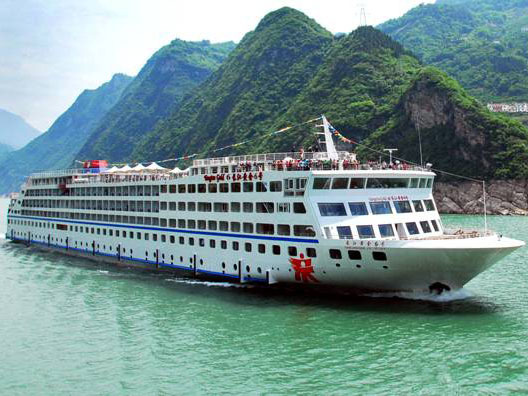 All ships of the Yangtze Gold Cruises adopt similar standard in the style design, functional layout, facilities and other aspects. - Public area like Kid's garden and racing track, open-air surfing swimming pool, etc. Day 2 Traditional Chinese Tai Chi. Shore excursion to Fengdu Ghost City. Captain's wecome banquet. Day 3 Traditional Chinese Tai Chi. Sailing through Qutang Gorge. Shore excursion to the Lesser Three Gorges. Sailing through Xiling Gorge. Day 2 Traditional Chinese Tai Chi. Pass through Xiling Gorge. Shore excursion to the Three Gorges Dam Site. Pass through the 5-level shiplocks. Day 3 Traditional Chinese Tai Chi. Sailing through the Wu Gorge. Shore excursion to Lesser Three Gorges. Sailing through the Qutang Gorge. Day 4 Traditional Chinese Tai Chi. Shore excursion to Fengdu Ghost City. Captain's farewell banquet. Talent show party in the ballroom.